Cast Iron Turtle Stepping Stone, Garden Stepping Stone, Yard Art from Shopatusm. 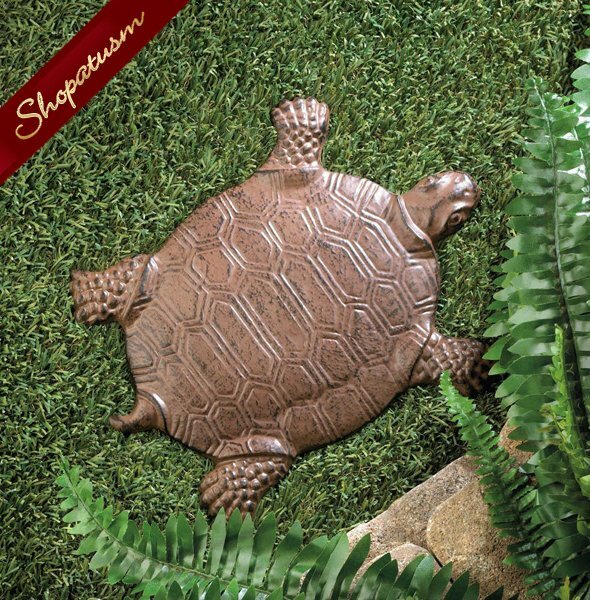 This turtle stepping stone is just what your garden or yard needs! Beautifully detailed and cast from iron, it will be your favorite outdoor accent for years to come. Cast Iron. Measurements: 12.2" x 10" x 0.5" High Weight: 3.8 pounds.